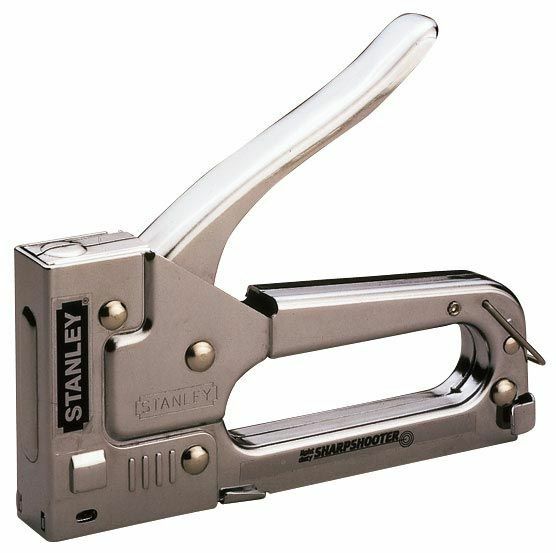 Perfect for everyday stapling needs around the home or office. * Also good for stretching canvas. * Lightweight with convenient handle lock. * Includes quick clear mechanism with chrome-plated steel construction. * Uses Stanley Sharpshooter light-duty staples.